Uulala has implemented a Decentralized Database Technology in order to cryptographically split data into unique segments with the help of various algorithms. These data segments are completely protected from all unauthorized access. The platform has the ability to track all the financial activities and adds it to the decentralized database technology. This helps in determining the creditworthiness of a user’s account. The Uulala Ecosystem provides the users with physical card locations and mobile loading nodes called Power Users [PU]. It helps local businesses in attracting users with microcredit [MCO]. These MCOs will be responsible for creating credit profiles which are worthy of greater financial service offerings. PUs have the option to create mobile deposit nodes as well. Through added KYC and AML checks, the Power Users are made eligible. Fund transfers are done based on Peer to Peer Escrow system. Uulala Mobile Application provides various features such as sending money abroad, paying bills for family and friends, earning rewards for your activities, establishing a credit profile and many more. Business Services: Business users can have various payout options for their employees, freelancers, contractors etc, through the web dashboard of Uulala. With the help of Uulala’s wallet technology, funds can be transferred worldwide to any number of employees. Temporary Staffing Agency: The underbanked individuals (people who are unable get a banks account) who work for Staffing Agencies can receive their income by paper check and then they can cash at the payday loan. Gig Economy: Flexible payment for giggers can be made using the Uulala mobile app and card program, thus making their traditional payroll much faster and easier. Direct Sales or Multi-Level Marketing [MLM]: Global payment capabilities can be done faster through the global e-wallet system of Uulala. MLM companies have the facility to revenue share on debit card usage, fees, and credit building opportunities. Microlending: Uulala’s digital service partners can make use of the platform capabilities of Uulala to improve customer experience and eradicate payment barriers. Uula is a digital asset built on Uulala’s blockchain (built on Multichain blockchain). Uula is capable of validating the user interactions with Uulala and it helps users to buy, execute and perform various transactions on the platform. 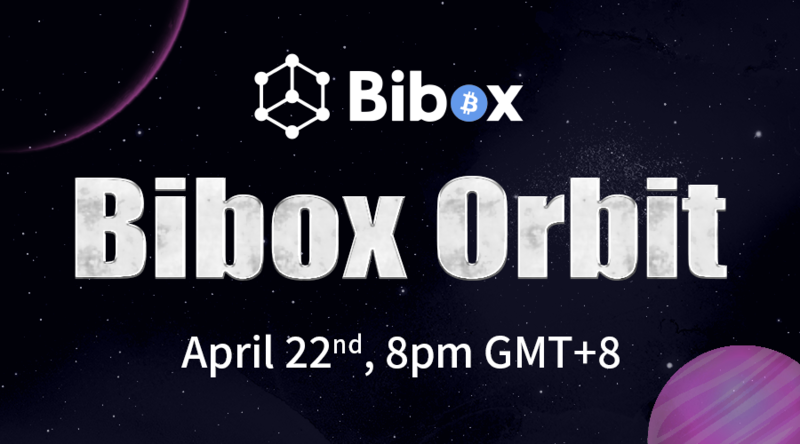 The overall supply of the tokens will be 750 million and will not be increased beyond this cap in future. Uula will also be responsible for serving as an open microcredit offer blockchain managed and unified view within the Uulala platform. Uulala has already partnered with several direct sales and multi-level marketing companies. It has a built-in user base of more than 150,000 users within the first 3 months of launch and business customer onboarding. The team is currently all set for the public ICO event and roll out of full Micro Credit Offer system for small businesses is also in store. Uulala is a remarkable financial solutions platform which provides a combination of decentralized database technology and the financial activities of a user to determine their creditworthiness. Their Financial Services include various facilities which bridge the gap between finance and technology. 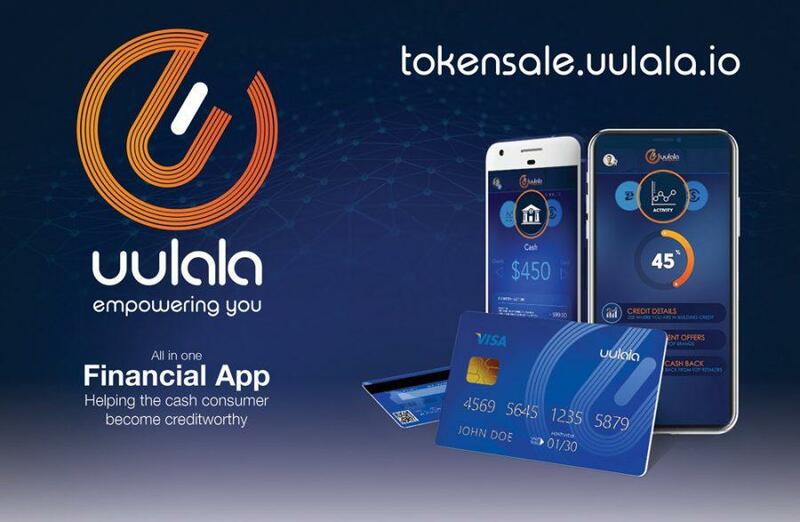 The Uulala token sale has begun, through which the team is working out on the enhancement of brand awareness, product development, and the establishment of first-mover advantage with a smart loading contract a microcredit marketplace and a smart credit building system. During the fourth quarter of 2018, all the tokens will be available for pre-crowdsale purchase through Company Approved Affiliates. AMBCrypto’s reporting team conducted an interview with the Uulala team regarding their technology and future prospectives. Q: What led to the foundation of Uulala? How did the organization form? Uulala has created a need that is split into two parts. On the Latin community is feed to death 55% of the community of Latin’s don’t have bank accounts. So, they go they cash their checks, they pay their bills. They do the things that regular people do with their visa card and master cards physically. And therefore, they are getting feed to death and therefore 10% of their weekly check is going to pay those fees, that was one reason. Secondly, it’s the constant non-solution that the banks provide they don’t provide a solution to generate credit, generate micro credit for the underserved. In fact, all they are looking for how do they charge you another fee for some other reason they don’t believe in micro credit loans the twenty-dollar loans, the fifty-dollar loans, the hundred-dollar loans. The Latin market needs those loans so the way they can survive the week, the month, the year. They can buy milk. That is why we created Uulala. When we started recruiting the staff in Uulala we looked at some of the best leadership in different industries. We didn’t just go after people in the banking world, because if people in the banking world were good then this product would’ve already been build a long time ago. So what we decided to do was look outside of the banking world we looked for leadership and influencers in real estate because they meet a lot of business owners. We looked leadership in the insurance industry that deals with a lot of the demographics Latinos in the daily monthly basis. We looked for leadership in design in coding in everywhere. And we looked for Latin leadership, so that way we can empower our Latin skill sets. You know the brainpower have is emence but nobody ever puts them all together underneath one roof. So, we got the best people in marketing the best people in business development, the best people in technology all rolled in into one roof because we specifically went after these talented pools of individuals that are mostly Latino, 90% of our office is Latino. Q: What is the purpose of decentralized database technology? How does it work in Uulala? The purpose of decentralized database technology is so that way you can have the same record in multiple various locations so there is no doubt that, that record is real. So, think about it this way if you decentralized a name for example a person A says their name is Juan. And you need to verify that person’s name is Juan the best way to do it is to go ask people who know him and if four people say yes, his name is Juan. Then you know his name is Juan. If he ever applied for a loan under the name David it can go back to that record, that decentralized record and say what is his name and if it comes back Juan because four other entities say his name is Juan then you know that is a false statement. So, decentralized gives us immutability that means that the thing we say is true is absolutely true and decentralization is the best way to do it. And authority figure says it is true you have multiple computers say that it’s true. So the way we use blockchain technology and decentralization techniques in Uulala is that every time you do a financial activity in our app it actually gets recorded into the blockchain into a decentralized node system. Meaning if your loading money if you want to load cash money into the Uulala app you will be matched up with the closest entity that can do that it might be a physical location, or it might be a human begin. When that human begin is helping you use to load money. It is actually done under a smart track that records all the information and actually puts that information into the blockchain, so we can have an emmudiable record that you loaded money. Then we do the same thing when you pay your bills, then we do the same thing when you are sending money to a loved one, then we do the same thing if your taking advantage of a micro credit offer. All those things together equal a credit rating repour where we know whether if you can offer to payback a twenty dollar micro credit loan or hundred dollars micro credit loan. The decentralization and blockchain information gives us the ability to actually finalize your micro credit loans. Q: Why did you opt Multichain Blockchain Technology over other technologies? What are the positive outcomes of Multichain? We decided to use multichain because it gave us the most flexibility we can possibly find instead of using the bitcoin network. The problem with those networks is transactional times. So, if you go to a Starbucks and you want to buy yet the time to finalize the transaction is over a second it doesn’t work. And there have been times where both the Ethereum network and the bitcoin network has taken over three days to qualify the transaction can you imagine how cold that coffee will be at Starbucks. It couldn’t happen. As we were discussing multichain some of the biggest positives differentiators with multichain is what we were talking about. The ability to create different blockchains in different regions of the world and then chain them together so you can make one cohesive organization. 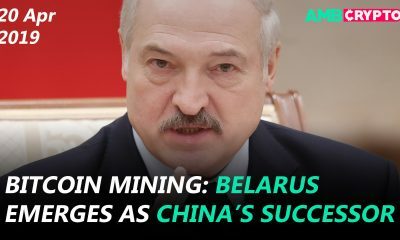 But every country is going to have different rules and regulations. Multichain gives us the ability to do that and evolve a smart contact and not just have it locked in based on ideas that work today. But ideas that will work in the future or ideas that will evolve. Every time that you evolve an idea instead of going back and restarting from scratch, build on the foundation that multichain gives you. Q: What are the main features of Uulala Ecosystem and Mobile Nodes? Uulala main features are two main qualities how do we decentralized ATM’s and banks so that way an individual can help another individual do his or her financial activities. In other words, stage one for us is what uber did to taxis, what air bnbs did to hotels. We are going to turn human begins with a cell phone into a walking talking bank teller. That is stage one. Our second stage in Uulala is once we have money in the system we track your activities, reduce your fees so we can actually qualify you for a micro credit loan that you will never qualify you that you could never do without us. At that point, we can show businesses that of they offer micro credit loans to consumers instead of just giving them a discount on a product. So that way not only does the merchant have the ability to bring in the customer or to pay back that micro loan. But paying back that micro loan, that individual now increase his ability on getting cash loans. It serves two purposes. It is the first ever in history micro credit marketplace, it will turn every merchant into a smart contract reward system where they are giving micro credit lines to individuals, so we can increase their credit capabilities. Q: What is the roadmap you have set for Uulala and where do you see the firm 5 to 10 years down the line? The roadmap we set for the company is pretty aggressive, but the execution team can handle it. This is a roadmap that was for the next six month we are going into strategic partnerships customer acquisitions and very key partnerships with insurance houses, HR houses. So, the next six months is really citifying our software getting into these industries, we are going to be defining our software to benefit these industries. And for the next 6 months after that in a total of a year. We will be catching up to the first 2 million users of Uulala. From the 2 million users we are just going to expand our reach into different areas of Latin America, United States, Mexico. We will branch out to Costa Rica, Panama, Brazil, Colombia, all those areas within the first 2 years of our establishment. We may not survive 5 years we may be brought within the first 2-3 years because any company that has acquired 2 million users inside the technology space is prime to be bought out for billion of dollars. So we will be looking for suitors after the 2 years and companies that will partner up with us. Maybe we will potentially go IPO we don’t know we will let time tell in the future years but in the first 2 years it is basically a run to 5 million users. To know more about Uulala, Click here!